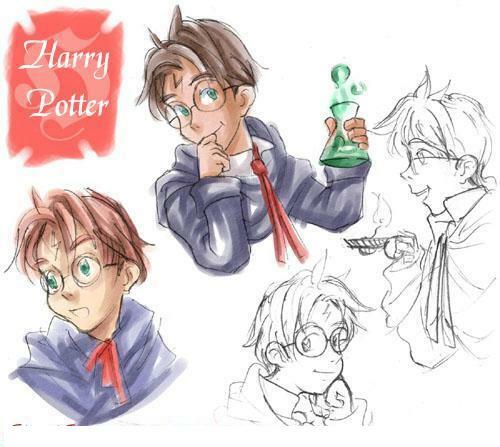 Welcome to our Harry Potter Page!! J. K. Rowling is not retiring!!! 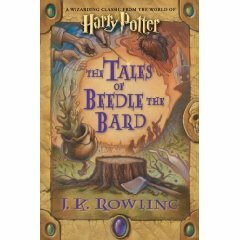 Here's your link to preorder The Tales of Beedle the Bard!!! Here's your links to the last three books!!!!! all the Harry Potter books and other cool stuff!!! J.K. Rowling did it again with book #4, Harry Potter and the Goblet of Fire. Harry, Ron, and Hermione are back with brand new fun and exciting (and sometimes scary) adventures. I strongly recommend this book to any one who is looking for a good read. The book starts out kind of slow and for the 4th book you have no idea what they're talking about. But the book gets up to speed very quickly and you're right there next to Harry with the Dursleys, on the train, in Quidditch, at Hogwarts, and in all of his adventures. If you haven't, you might want to read the first 3 books before you start this one. Join Harry, Ron, and Hermione and READ THIS BOOK! Need a Harry Potter poster??? Quick nav links to our best stores! !